The body of all organisms is made up of very small units called cell. A cell is capable of independent existence and can carry out all the functions which are necessary for a living being. 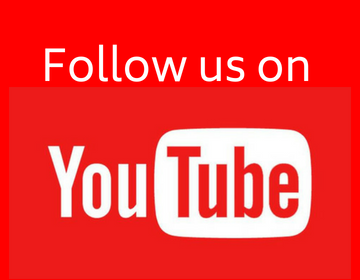 Unicellular organisms are capable of independent existence which shows a cell’s capability to exist independently like in amoeba. Due to this, a cell is called the fundamental, structural and functional unit of living organisms and basic unit of life. Cell was first discovered by Robert Hooke in 1665. He observed that just like honeycomb, organisms are also composed of small compartments. He named these compartments as Cells. All living organisms are composed of cells. All new cells come from pre-existing cells. Cells vary in shape and size. They may be oval, spherical, rectangular, spindle shaped, or totally irregular like the nerve cell. The Size of cell also varies in different animals and plants. Most of the cells are microscopic in size like red blood cells (RBC) while some cells are fairly large like nerve cells. Average size of cells varies from 0.5 to 20 μ. In some organisms, DNA and RNA (genetic substances) are bound by a membrane; this is termed as true nucleus. Prokaryotic cells are cells in which true nucleus is absent. They are primitive and incomplete cells. Prokaryotes are always unicellular organisms. Bacteria, blue green algae are the examples of prokaryotes. Eukaryotic cells are cells in which true nucleus is present. They are advanced and complete cells. Eukaryotes include all living organisms (both unicellular and multi-cellular organisms) except bacteria and blue green algae. Plasma Membrane: Plasma membrane is the covering of the cell that separates the contents of the cell from its external environment. It is a living part of the cell. It is very thin, delicate, elastic and selectively permeable membrane. Plasma membrane is composed of lipid and protein. As it is selectively permeable membrane, it allows the flow of limited substances in and out of the cell. Cell wall: Cell wall is non-living, thick and freely permeable covering made up of cellulose. Cell wall is available in eukaryotic plant cells and in prokaryotic cells. It determines the shape of the cell. It protects the plasma membrane. It prevents desiccation or dryness in cells. It helps in the transport of various substances in and out of the cell. Protoplasm: It is a jelly-like, viscous, colourless semi-fluid substance in various cell organelles present in colloidal form. Protoplasm consists two parts: cytoplasm and nucleoplasm. Cytoplasm is that part of protoplasm which surrounds the nucleus. 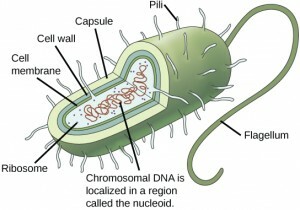 Nucleoplasm is that part of protoplasm which is located inside the nucleus. Protoplasm acts as a store of vital chemicals like amino acids, proteins, sugars etc. It is the site of some metabolic reactions. Golgi Body: Golgi body are also called Golgi Complex/ Golgi Apparatus. It is first discovered by Camillo Golgi. It consists of membrane bound structures arranged parallel to each other. Golgi bodies store, modify, package and dispatch the substances. They help in the formation of lysosomes. Ribosomes : These are extremely small, dense and round bodies interspersed in the cytoplasm. Ribosomes are made up of ribonucleic acid(RNA) and proteins. In prokaryotic cell, ribosomes are of 70 types. In eukaryotic cells, ribosomes are of 80 types. Ribosome is responsible for protein synthesis. Mitochondria: Mitochondria are small rod-shaped organelles. It is a double membrane structure. Outer membrane is smooth whereas inner membrane is projected into numerous finger-like structures; called cristae. Mitochondria contain their own DNA and ribosomes. They provide energy for the vital activities of living cells. They store energy releases during reactions, in the form of ATP (Energy currency of the cell). Therefore it is also called power house of the cell. Centrosome is found only in eukaryotic animal cells. It is not bounded by any membrane but consists of centrioles. Centrioles are hollow cylindrical structures arranged at right angle to each other and made up of microtubules. Centrioles help in cell division and also help in the formation of cilia and flagella. Plastids : Plastids are present in most of the plant cells and absent in animals cells. They are usually spherical or discoidal in shaped. These are double membrane bound organelles. Plastids also have its own DNA and ribosomes. Chloroplasts: Green coloured plastids containing chlorophyll. Chloroplasts manufacture food by the process of photosynthesis. Chromoplasts: Colourful plastids. They provide colour to flowers and fruits. Leucoplasts: Colourless plastids. They help in the storage of various substances like starch, proteins and fats. Lysosomes : Lysosomes are formed by golgi bodies. They are small, spherical, sac like structures which contain several digestive enzymes enclosed in a membrane. They are found in eukaryotic cells mostly in animals. Lisosomes help in digestion of foreign substances and worn-out cell organelles. They provide protection against bacteria and virus. They help to keep the cell clean. During the disturbance in cellular metabolism, for eg; when the gets damaged, lysosomes may burst and the enzymes digest their own cell. Therefore, lysosomes are also known as suicide bags of a cell. Vacuoles : Vacuoles are liquid / solid filled in a membrane. In plant cells, vacuoles are large and permanent. In animal cells, vacuoles are small in size and temporary. In mature plant cell, it occupies 90% space of cell volume. Due to its size, other organelles including nucleus shift towards plasma membrane. Endoplasmic Reticulum : It is a network of tube like structures from nuclear membrane to plasma membrane. It is absent in prokaryotic cells and matured RBCs of mammals. Rough ER : In rough endoplasmic reticulum, ribosomes are present on the surface. Smooth ER : Ribosomes are absent. It gives internal support to cell. It helps in transport of various substances from nuclear membrane to plasma membrane or vice versa. It helps in the formation of plasma membrane and golgi bodies. Rough ER helps in synthesis and transportation of proteins. Smooth ER helps in synthesis and transport of lipids. 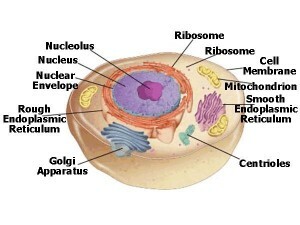 Nucleus : Nucleus is dense and spherical organelle. Nucleus is bounded by two membranes, both forming nuclear envelope. Nuclear envelope contains many pores known as nuclear pores. The fluid which is inside the nucleus is called nucleoplasm. Nucleus contains chromosomes and chromosomes contain genes which are the carriers of genetic information. Nucleus controls all the metabolic activities of cell. Nucleus is the storehouse of genes. Without nucleus, cell can neither survive nor shows specialized activities. Substance can pass through plasma membrane by two processes: Diffusion and Osmosis. Diffusion: It is the process of movement of substances from its high concentration to low concentration. During the respiration, carbon dioxide is given out a waste product and accumulates in higher concentration inside the cell compared to outside. Due to the difference in concentration inside and outside the cell, CO2 start moving out of the cell. Osmosis : It is the process of movement of water from its high concentration to its low concentration through semi-permeable membrane. If the medium surrounding the cell has higher water concentration than in cell, cell will gain water by osmosis. Such dilute solution is called Hypotonic solution. Though water molecules pass across plasma membrane in both sides but more water will enter inside the cell. The cell is therefore, swell up and increase in volume. This process is called Endosmosis. If the medium surrounding the cell is exactly the same water concentration as inside the cell, there will no net movement of water across membrane resulting in no change in size of cell. Such solution is called Isotonic solution. If the medium surrounding the cell has lower water concentration than inside the cell, the cell will lose water through osmosis. Such concentrated solution is called Hypertonic solution. The cell will therefore, shrink and reduce in volume. This process is known as Exosmosis. Thanks. It is very important notes and useful. It is a wonderful notes. Thanks it is very useful ! Ah dis notes hepled me in fomattive assessment!